With all of our designs continually gaining popularity, we’ve decided to release more configurations to keep up with consumer demand. 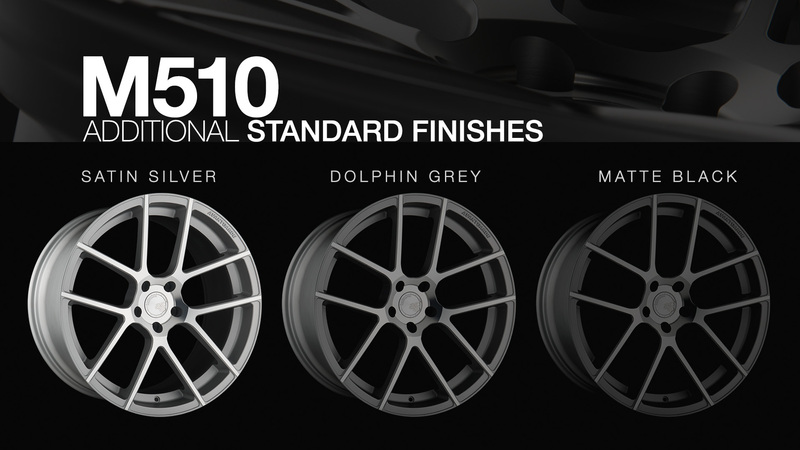 In addition to our Satin Silver, the M510 now comes standard in Dolphin Grey and Matte Black. 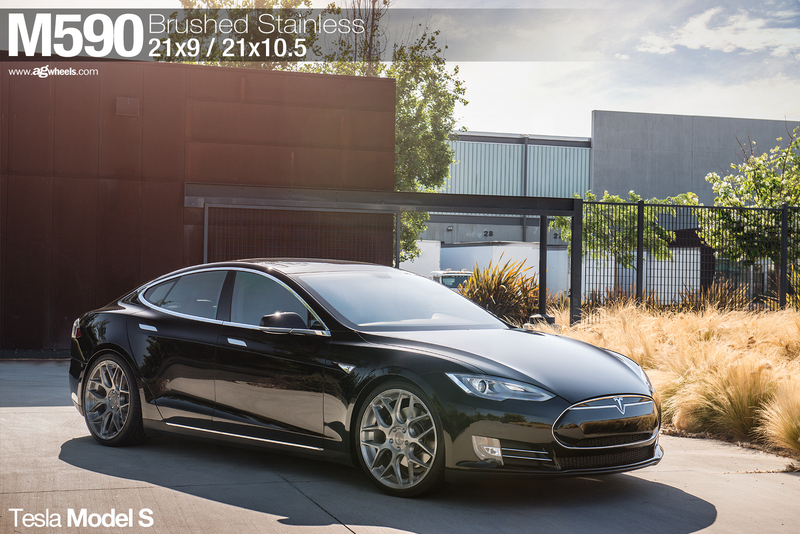 Both of these new finishes are standard for the 5×112, 5×114.3, 5×120, and 5×130 bolt patterns. These new finishes are scheduled to arrive at the end of the month. 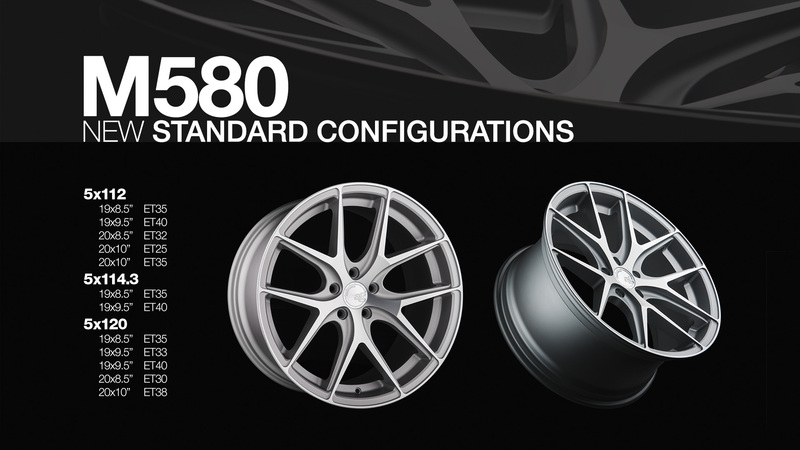 The M580 is now available with standard configurations for those who prefer not to wait for a built to order Bespoke wheel. Standard configurations will be exclusively available in our Satin Silver finish in 19″ and 20″ sizes for 5×112, 5×114.3, and 5×120 bolt patterns. These new fitments are also scheduled to arrive at the end of the month. Finally, the M590 is now available with new Bespoke sizes. 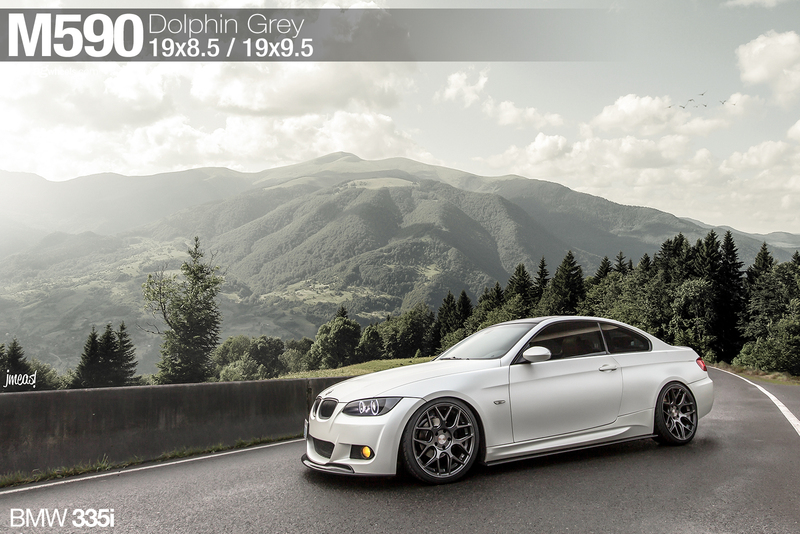 Along with the standard 19″ and 20″ staggered sizes, we are proud to release a deep concave 19×11″ width. 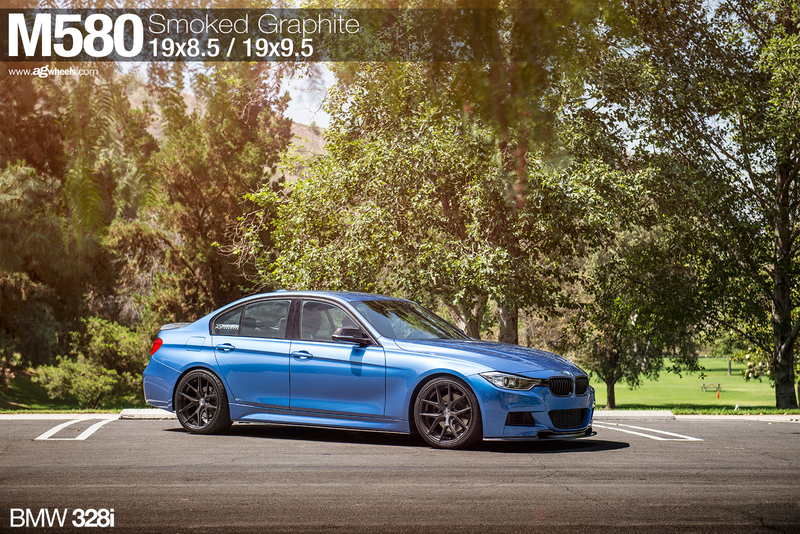 Offset range for the 19×11″ M590 is ET15 to ET52. 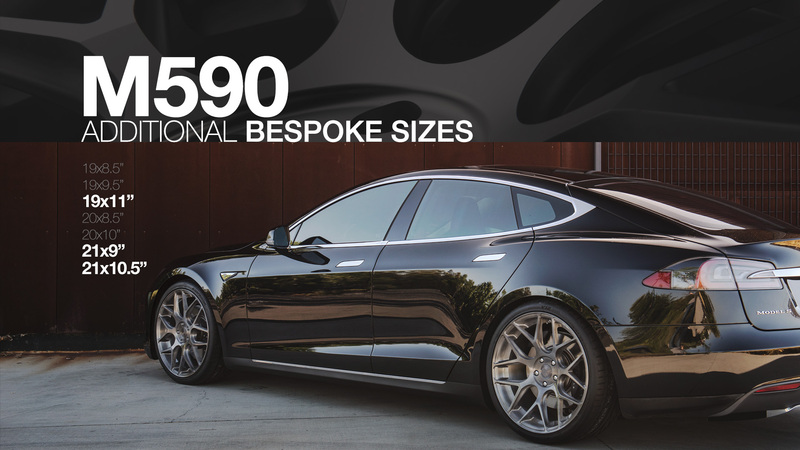 As with all of our Bespoke wheels, bolt pattern is custom from 5×100 to 5×130. 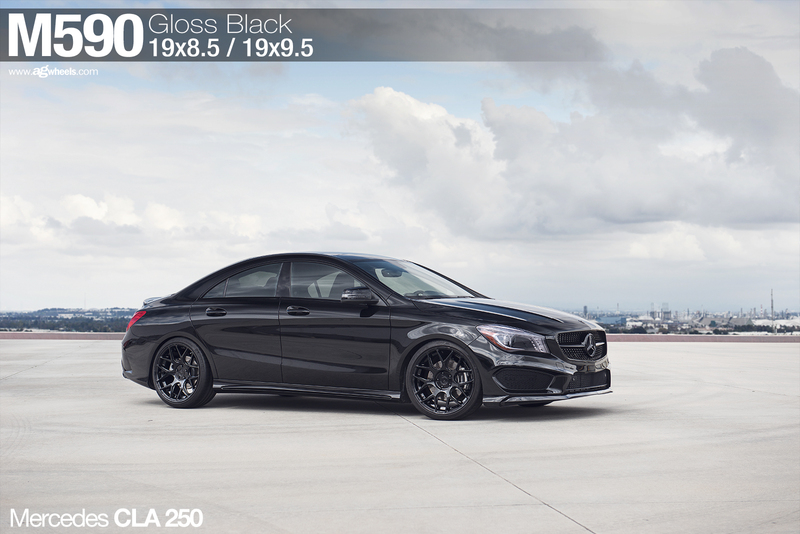 We are also releasing new 21×9″ and 21×10.5″ sizes for the M590 within the Bespoke program. As always, all available configurations are viewable online at: http://agwheels.com/inventory.pdf. This link is accessible from our website at the “Inventory” link on the bottom-right corner of the website. Please contact your sales representative for more details on new finishes and sizes. Below, we have included a selection of our recent photo shoots of assorted Bespoke finishes. You can also view more photos in our Customer Rides gallery at: http://agwheels.com/customers.php. 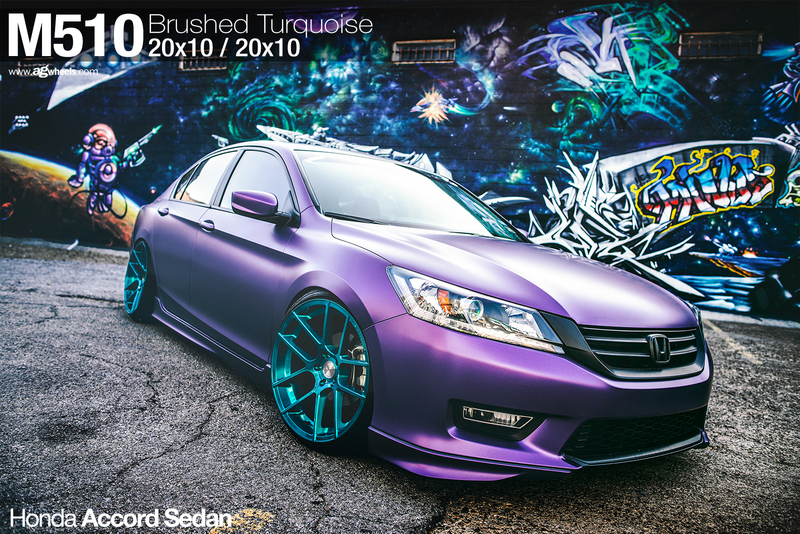 Thank you all for your continued support of Avant Garde Wheels!